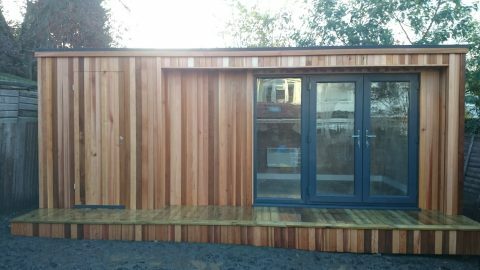 Can Insulated Garden Buildings Really Be Used All Year Round? 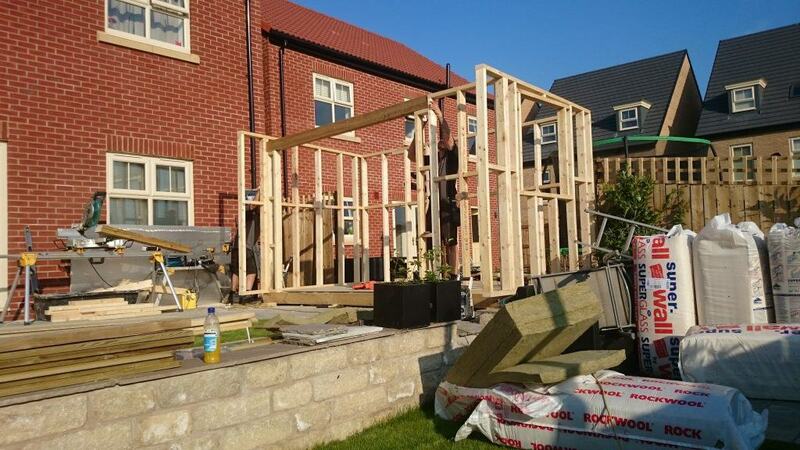 When looking to add to your home with a garden building, one question you’ll most probably ask us is ‘can I really use it all year round?’ And the simple answer is yes you can! 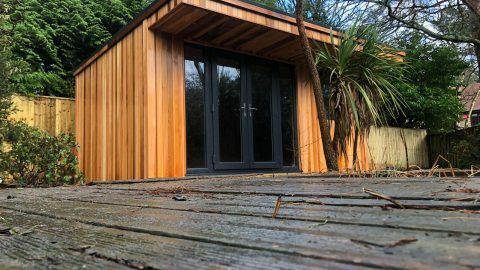 Long gone are the days of having your makeshift gym in the old garden shed, single-paned glass windows are a thing of the past and there certainly won’t be any drafty wooden slats. 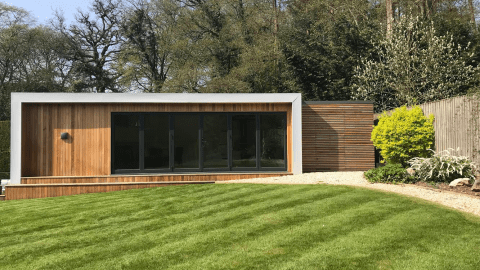 Having your home office, studio or summer house built in your garden should be thought of as an extension of your home and they are all built in practically the same way. Think insulated garden buildings available with heating, lighting, double glazing, bi-folding doors, ventilation and you’ll really see how times have changed. It is an investment and this is how and why you can use it all year round. 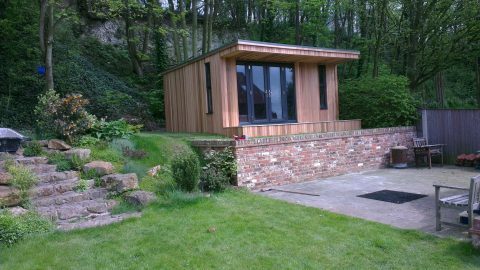 Insulated garden buildings are achieved in the same way as in a timber framed home. 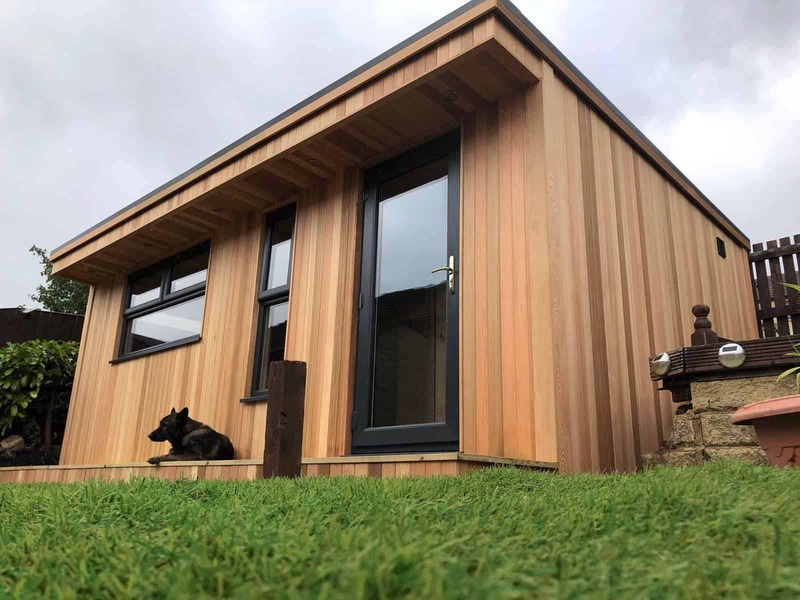 Not only are our garden buildings constructed with structural timber containing acoustic insulation, we also use Celotex rigid insulation which is long-lasting, has an improved thermal property, is moisture resistant and extremely strong. But don’t stop there! The roof is also insulated. Our roofing panels & profiles are produced to form an insulated roof system that meets the modern need to create an energy-efficient building. And because of the high levels of insulation we have talked about here, a garden building will also be cool enough to work in even on the hottest days of the year. Why? 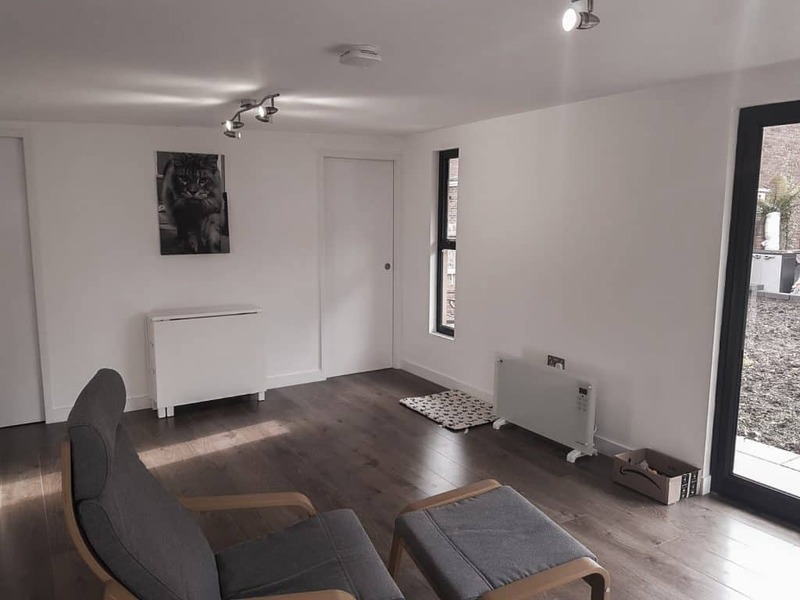 Because that insulation works by slowing the movement of heat between two places which affects how the room feels depending on the time of year. 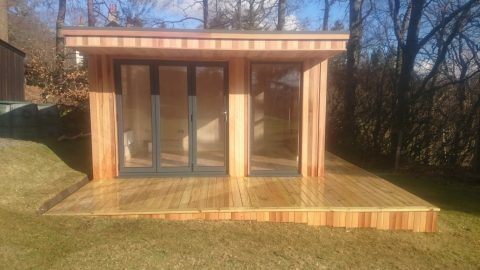 So you will not only have the best of beautifully warm and cosy insulated garden buildings in the winter, you will also have a comfortable space in the summer and you will feel reassured that the products used are of the highest quality and to the same spec as your own home. There’s no point in creating insulated garden buildings without finishing it off with double glazing. The two will work together to give you a warm room in the winter and will also help to reduce your heating costs. 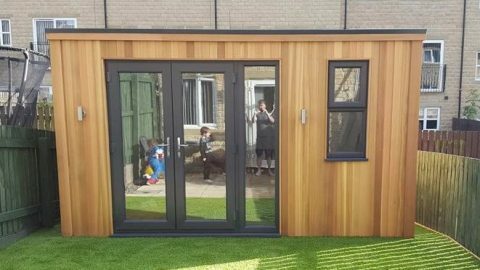 In the warmer months, the bi-folding doors can be opened up to bring in a gorgeous summer breeze and your work or hobby can easily be moved out to the decking/patio area. As with your home, your garden room can be easily warmed by installing electric heaters, a log burner, oil heater and so on. 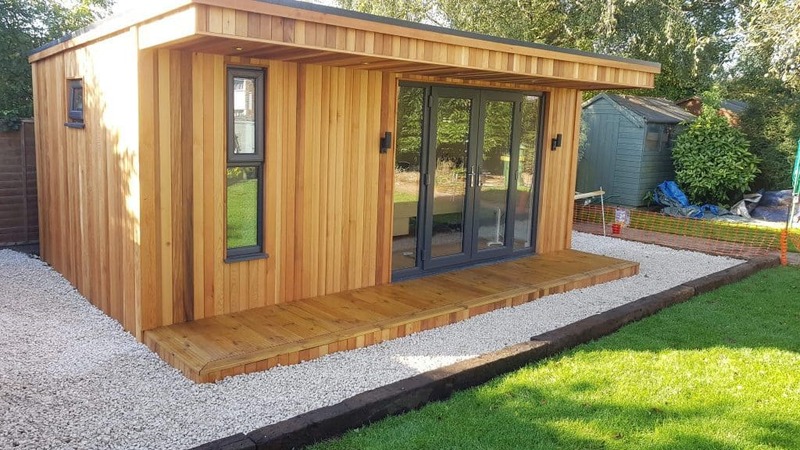 Insulated garden buildings usually come with a thermostat as standard which means you can also pop your heating on a timer which will allow you to step into an already warmed room. Some models may be available with a remote control, meaning you can even heat your building with one click from inside your house! 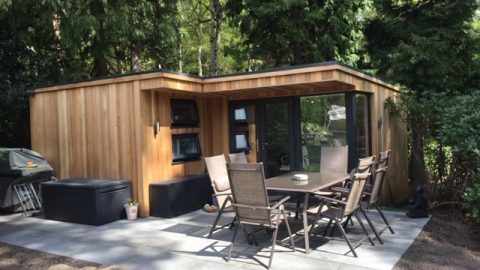 Ventilation is important when working in your garden room during the summer months but as we stated above, the insulation used plays a huge part in helping with this too because appropriately insulated garden buildings will prevent overheating inside the room. If you feel the need to cool your space even further, you may want to choose double glazing with ventilation slots and a window that will open– some companies only offer a fixed window so you’ll need to check this prior to the build. Look for bespoke options on a website and see what will work for you and your requirements. The bi-folding doors will offer plenty of ventilation on a warm summer day but if you didn’t want these open, you could consider installing an air conditioning unit too. The really great thing about having a garden room like this is the amount of natural light you can get. This will not only reduce your electricity costs but it will also make your office/studio a great place to work in. 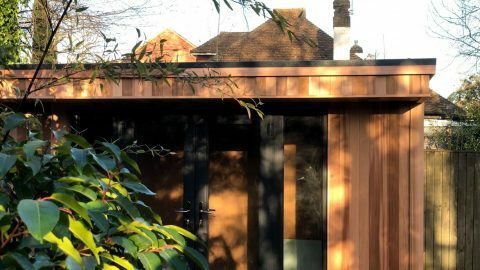 Getting the most of this natural light will, of course, depend on where you decide to erect your garden building, whether or not you have any trees in your garden (or perhaps overhanging from a neighbour) and when your garden gets the most of its sun. 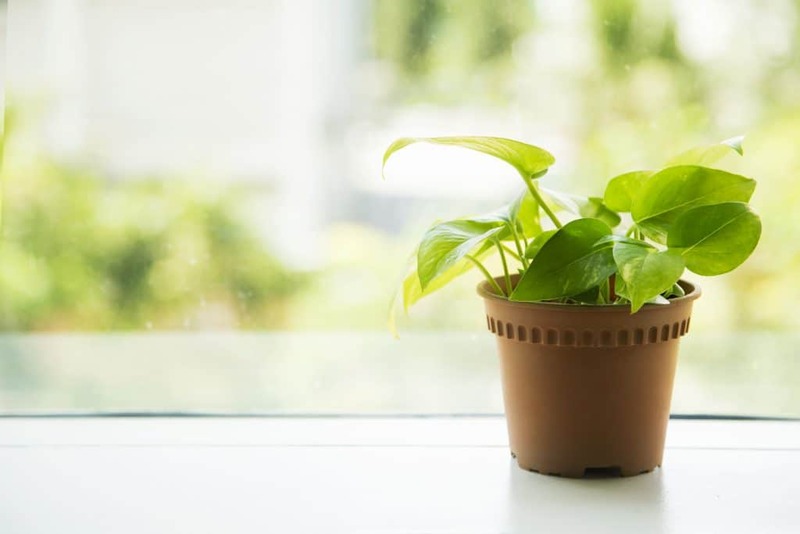 You’ll want to consider which way it will face, whether having sun in the morning or in the afternoon works best for you and look at how you may need to alter your garden plants to maximise on this. 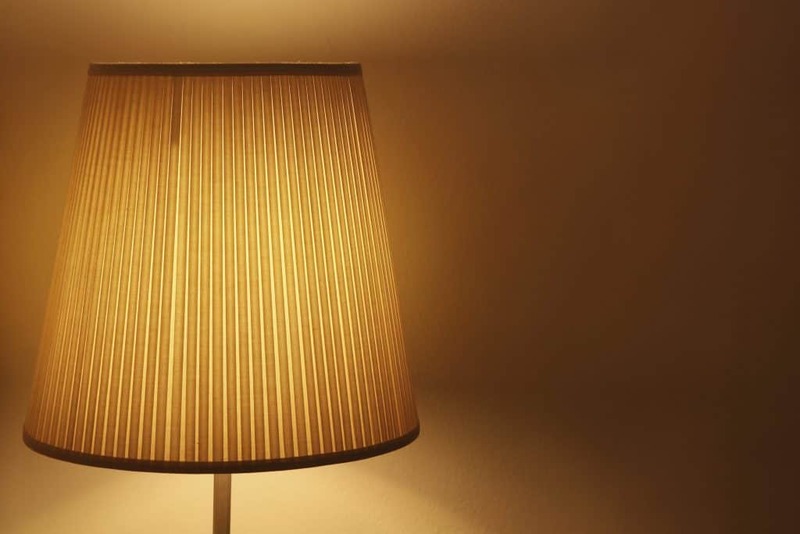 All garden buildings will come with electricity and lights as standard, so if you cannot achieve the lighting required, you can add to this by using ceiling lights or lamps. 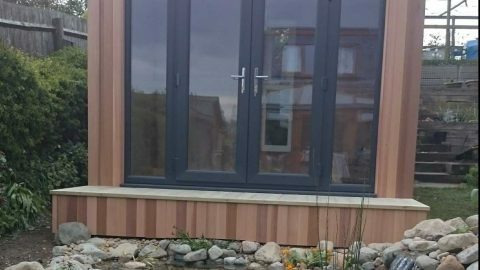 As you can see, a garden building is most definitely able to provide you with year-round use which makes it a fantastic investment and extension to your home.